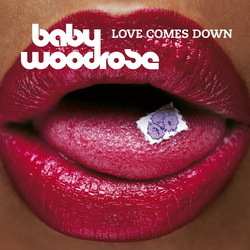 For many people Love Comes Down can be considered the “lost” Baby Woodrose album. It was originally released in 2006 and followed the succesful Money For Soul album. At the time Love Comes Down was only released in Scandinavia and not many people outside here ever got the chance to hear it. Which is a shame as it contains a great mix of pretty straight forward garage rockers mixed with beautiful moodier stuff.The vinyl version was only released in 500 copies which makes it the most rare Baby Woodrose LP to date. But that will change now when Bad Afro will release it again – this time with extra material included. The 1st press of 500 copies on black vinyl will include a free 7” single on 33 1/3 rpm with two exclusive songs recorded at the same sessions as Love Comes Down. We are talking two hard stoner rock songs called Cherry Bomb and The Keeper that together clocks in at more than 12 minutes. Guest appearances by Eduardo Martinez (The Flaming Sideburns) and Yebo (The Tremolo Beer Gut). Love Comes Down featured the original Baby Woodrose line-up: Lorenzo Woodrose on guitar/vocals, Fuzz Daddy on drums and The Moody Guru on bass (Fuzz and Moody also play with Lorenzo in Spids Nøgenhat these days). Originally re-issued October 24th, 2011 as LP/CD and as download.